Heat oven to 375°F. 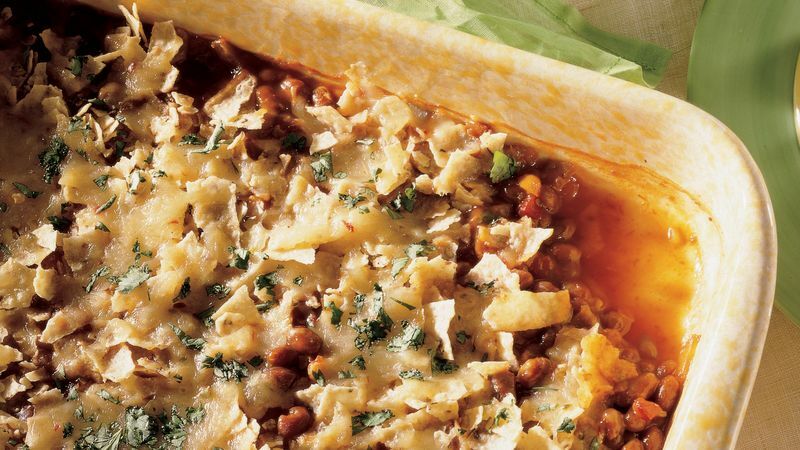 In ungreased 13x9-inch (3-quart) glass baking dish or pan, combine beans, salsa and lime juice; mix well. Sprinkle with tortilla chips. Bake for 10 to 12 minutes or until thoroughly heated. Sprinkle with cheese. Bake an additional 3 minutes or until cheese is melted. Sprinkle with cilantro.